Mammary glands have been created using cells donated after breast reduction operations. The new research is the largest ever genetic study of oligodendrogliomas, and provides important insights into their causes – and how they might be treated. A summary judgment of the “honesty” of the CDC release is a tough call because the evidence that exists doesn’t line up neatly with the fundamental questions we all have. The survey results give us snapshots of what kids are doing. But are the trends good or bad? That’s where too much of the arguing is rooted in beliefs and clouded by uncertainties. If we can successfully incorporate liquid biopsy to consistently monitor patients who have received such combination therapies, we would have a beautiful synthesis of all these different fields coming together to translate genomics into the next level of cancer care. The NHS cervical screening programme in England, Wales and Northern Ireland stops sending invitations for cervical screening after a woman reaches 65, although they can request to be screened after that time. “This review suggests that older women not getting themselves screened to prevent cervical cancer has become a significant contributor to the number contracting the disease." Some 20 cohort and 20 case-control studies, all conducted in the developed world (Australia, Canada, Europe, or the United States) were considered by the IARC working group to be informative for evaluating the effectiveness of mammographic screening programs, according to invitation or actual attendance, mostly at 2-year intervals. Press releases are incomplete substitutes for the detailed information contained in complete response letters. Seven times between August 11, 2008, and June 27, 2013, the Food and Drug Administration declined to approve a new medicine, in part, because patients were more likely to die when taking the drug than in a control group. Yet only one of those companies told investors – and the public – about that concern. Of the 215 notices we were able to find, only 11 of them – or 5.1% – included a determination that a drug was withdrawn from sale for safety or effectiveness reasons. The study now shows that with a median follow-up of approximately 3.5 years for chronic phase CML (CP-CML) patients and a median follow-up of approximately 2.9 years in all patients in the trial, Iclusig continues to demonstrate anti-leukemic activity in patients with limited treatment options. Now Agios has its eye on Phase III, working with partner Celgene to design a late-stage trial and begin enrollment in the second half of this year. The biotech has yet to disclose just which patient populations it'll target. In the study, 254 patients were randomized 2:1 to receive either REVLIMID (n=170) or single agent cytarabine, rituximab, gemcitabine, fludarabine or chlorambucil (n=84). ENEST1st data confirm the favorable benefit/risk profile of Tasigna in newly-diagnosed CML patients seen in the pivotal ENESTnd study. Preplanned analysis at 18 months demonstrate 80% of PV patients treated with Jakavi® (ruxolitinib) experienced a durable response for at least one year. Panobinostat combination more than doubled median PFS benefit by 7.8 months in patients who received >=2 prior lines of therapy, including bortezomib and IMiD. Of the 49 patients evaluated, the overall response rate (ORR) was 84 percent (n=41/49), with 20 (41%) patients achieving a complete response (six patients achieved complete response with incomplete bone marrow recovery (CRi)), and 21 (43%) patients achieving a partial response (PR), one nodular. 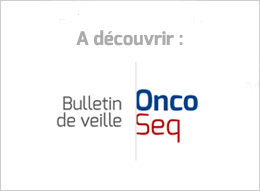 "The updated results of the FIRST study reinforce the survival advantage for continuous REVLIMID therapy in patients newly diagnosed with multiple myeloma," said Prof. Thierry Facon, MD, University of Lille and primary investigator of the study. Arzerra (ofatumumab) significantly improved PFS when added to fludarabine + cyclophosphamide (median 28.9 mos vs 18.8 mos) after initial treatment stopped working. Forty percent response "is remarkably exciting in this kind of patient population," said Dr. Eytan Stein, from Memorial Sloan Kettering Cancer Center in New York, who presented the data at the European Hematology Association. Between them, Jackson and Bailey won gold medals at Olympic Games and World Championships and broke world records, but now they have a new ambition - to highlight the risk of prostate cancer, particularly among black men. We noted earlier this week that cell line substitution is a pretty typical cause of problems. But this seems to be a more serious strain of the common mistake. Amy Heimberger at MD Anderson Cancer Center, the corresponding author on both papers, insists that the retraction was not warranted. She claims that the duplication simply represented “a baseline immunological phenotypic and functional characterization of the glioma cancer stem cells” required for each study. With prostate cancer, how often the toilet is used is tracked, for example. The app can also be used by people who have been released from hospital following major surgery.